Wings Spirit: Chasing the Code 4 - Northern Lapwing! Chasing the Code 4 - Northern Lapwing! 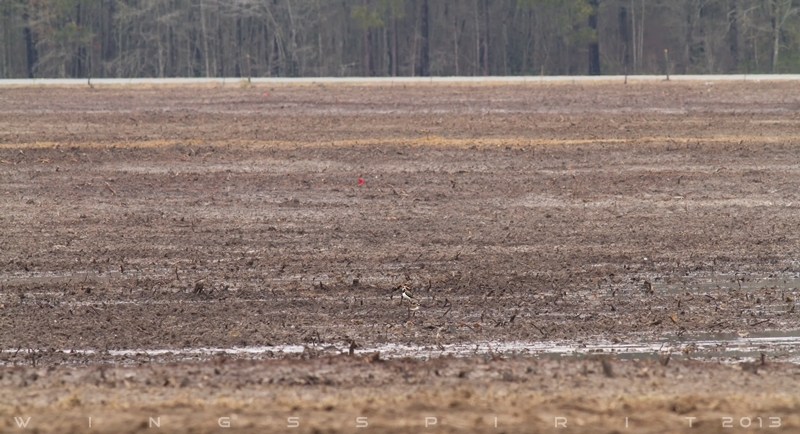 When a graduate student from Georgia Southern University spotted a Northern Lapwing while leading a routine Ornithology class off Alma Lane, Statesboro (Click this link to view location provided by Loren), birders from all over the place were eager to find this "Code 4" bird again. Unlike the heat of Snowy Owl, this lapwing is a Code 4 bird. According to ABA (American Birding Association), Code 4 is a bird that occurs casually in a well-defined pattern but is not seen annually. Most birds in this category breed in other continents and wander extensively during migration along east or west coast of North America. Northern Lapwing (Vanellus vanellus) was reported by Loren Deaner on February 6 morning. After talking to Mark McShane, Mark mentioned if I can find time, go as quickly as possible because we never know how long a rare bird would stick around. He sounded regretfully because he could not go until this weekend. Normally if there is a cold front (click link to understand birds and weather), birds will leave sooner. Riding with sleepy eyes, I arrived at Loren reported location at around 8:15, more than a dozen of birders were there searching attentively. It was a freezing, quiet morning with occasional cattle mowing and nothing else, not even a wren or cardinal calling. I was so happy to see my good friend James Fleullan was there and the first thing he told me was "nothing, not yet ....". I took my time, wrapped myself up with more warm cloth, set up my camera with tripod, still, no lapwing. After almost two hours of searching and waiting, James had to get back to his work and Loren left to search other places. Everyone was a bit disappointed. But I decided to stay around for as long as I can...Suddenly Patty McLean told everyone..."Someone just relocated the bird at further north down the road...let's move!" What an encouraging moment! 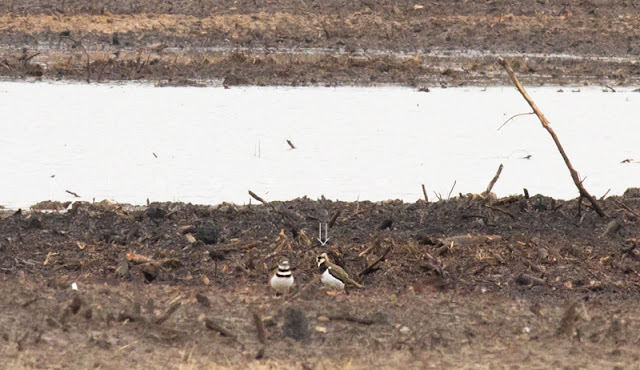 Lapwing was relocated just about 1/4 mile west of Alma Ln by Simon Thompson, a birder from Asheville, North Carolina! When we pulled over, Simon already had this bird inside his scope! Apparently we were looking at the wrong place this morning. Lapwing was in its own nature habitat mingling with many killdeer and feeding quietly. 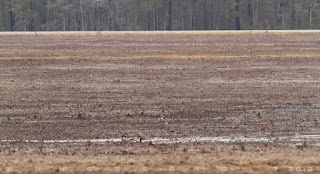 It was a challenge to "see" this bird from this massive muddy field. Simon pointed bird to us by using a red flag in the far background made an easy viewing from our binoculars and spotting scope. Great report. Thank you Linda for finding it for Bill and I. I would have been so dissappointed to have missed it entirely. You're awesome. I am so glad you and Bill were not that far off. This is all meant to be! You are a great birder and you deserve this lapwing!